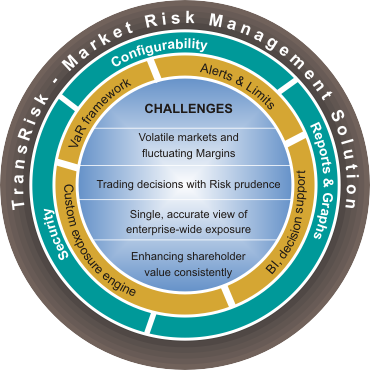 TransRisk, a web-based market risk management solution provides manufacturing, processing and trading companies with a robust, customizable and stable commodity and currency risk management solution. 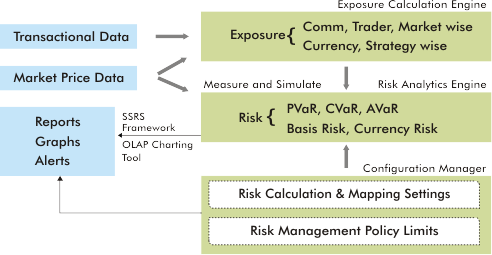 Based on Risk framework, a widely accepted global standard for measuring and decomposing risk, TransRisk, a decision-enabling Business Intelligence tool helps measure and manage risk. It calculates net exposures based on the business process and allows users to have single accurate, view of exposures, mark-to-market P&L and risk across the organization, thereby bettering the synchronization of business strategies.